Leticia’s work lies at the intersection of ecology and evolution. A native of Ecuador, she obtained her PhD at Harvard University and held her first faculty position at the University of Arizona. She is currently a Professor at the University of British Columbia, affiliated with the Biodiversity Research Centre. She is a recipient of the Young Investigator Award from the Society of American Naturalists, a fellow of the Institute for Advanced Studies in Berlin, and a scholar funded by the James S. MacDonnell Foundation for the Study of Complex Systems. 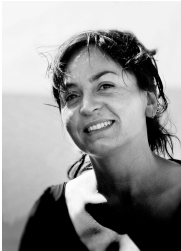 A long-term goal of Leticia’s research is to elucidate the forces involved in the transition between levels of organization, in particular between individuals and social groups. 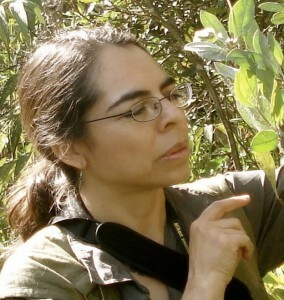 In doing so, Leticia and her students use a variety of research tools, including fieldwork in temperate and tropical areas, computer simulation, analytical modeling, and laboratory work employing behavioral and molecular techniques. Central to her empirical studies and a source of inspiration for her theoretical work are the social spiders, a phylogenetically diverse set of species that have converged in evolving cooperative behavior and highly subdivided population structures. Because colonies of these organisms constitute not only social groups, but also self-sustaining populations, they are ideally suited to address fundamental and often controversial issues at the intersection of ecology and evolution. These include the causes and consequences of social evolution, multilevel selection, the evolution of local population dynamics in metapopulations, and the short- and long-term consequences of inbreeding. 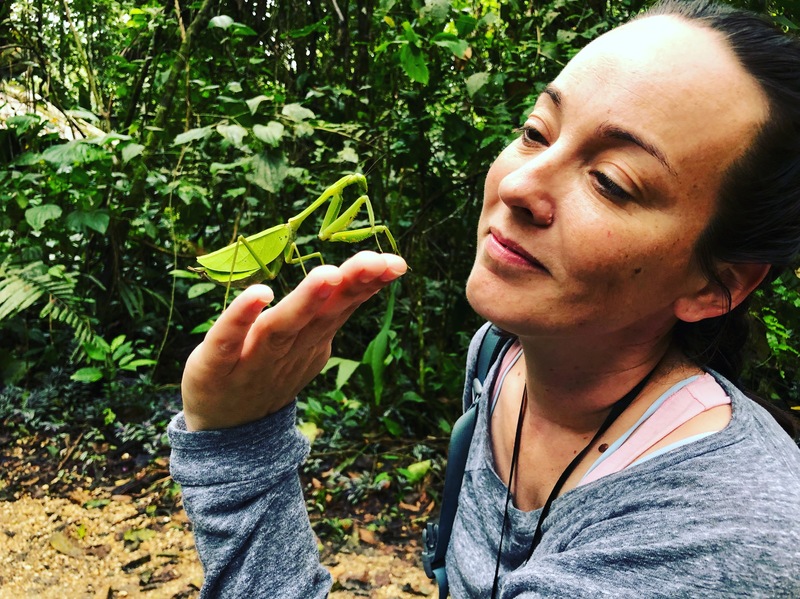 Besides training graduate students and post-docs, Leticia teaches undergraduate courses on Darwinian Medicine, Animal Behaviour, and Methods of Field Ecology. I am broadly interested in the evolutionary ecology of organisms in Neotropical ecosystems. My research uses spiders to examine the role of web-morphology in ecological and evolutionary interactions. I am investigating the differences in microhabitat selection of species with different web-types, as well as trade-offs that may be associated with building two-dimensional versus three-dimensional webs in terms of prey-capture success and predation risk. 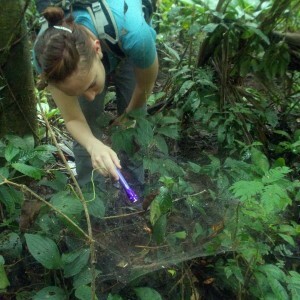 Additionally, I am interested in exploring the behavioral differences among species as a function of their web-type. I investigate how parasites of social spiders interact in a metapopulation to influence virulence and transmission, as well as assessing how behaviours by the social spiders helps to influence, and potentially police, parasite prevalence. This is being done through field observations of host and parasite behaviour, collections of parasites to assess species composition of the parasite community, and genomic techniques to assess how parasite population structures tracks with host population structure. My previous work in the lab also includes the development of an energy budget for Anelosimus eximius. 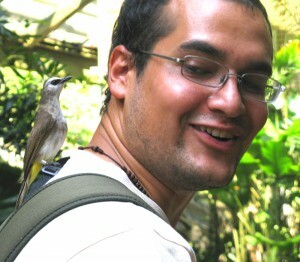 I am interested in the ecological forces influencing sociality in organisms. My study model is treehoppers (Auchenorrhyncha, Membracidae) which exhibit a broad life strategy spectrum ranging from solitary species to subsocial species showing a complex maternal care. The altitudinal gradient in the Andes is the stage where treehopper’s different life strategies perform. In my current project, I aim to define the biogeographical patterns associated with the transition from solitude to subsociality in treehopper communities, and to understand the ecological forces shaping this transition. I am also interested to explore specific behavioral and morphological traits associated to each life strategy, and how these vary as an adaptation response to ecological pressures. I carry my research along the altitudinal gradient of the Andes of Ecuador. The flux and allocation of energy and matter (i.e., chemical elements) fundamentally constrains all living organisms. Energy and matter uptake as well as allocation fuel metabolic processes and build new biomass for organismal growth and reproduction. These individual-level processes can scale-up to a community and ecosystem level by applying principles from Metabolic Theory of Ecology and Ecological Stoichiometry. My research seeks applies these theoretical frameworks to understand how energy and matter constrain the diversity, structure and functioning of biological systems. In the Aviles lab, I am studying 1) the building and maintenance cost and benefits (energy and nutrients) of different types of webs, and 2), whether social lifestyle is energetically more efficient than solitary life, resulting in a reduction of per-capita energy expenditure and material consumption during web-building. As web construction, affect individual spider metabolism and resource uptake but also depend on group size, social web construction and maintenance costs might follow principles from economy of scale. This is, larger webs might be less costly to build and maintain in terms of energy and material, and therefore, we think that living in a group may confer energetic benefits to spiders. Postdoctoral Fellows: Jennifer Guevara (2005-2012), Angélica L. Gonzalez (2014) Edmund Hart (2011-2013), Maxence Salomon (2008-20012), Jeff Fletcher (2004-2006), Ingi Agnarsson (2004-2006).